And the reader does a marvelous job of bringing it to life. This is my first listen, but it won’t be my last. 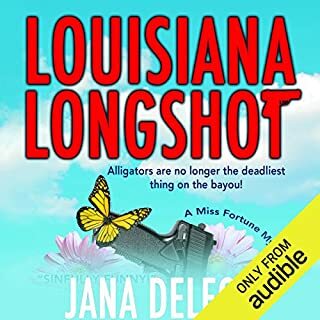 Louisiana Longshot is the story of a CIA agent hiding out in the small town of Sinful. The sleepy town’s elderly women provide delightful companions for Fortune’s adventures. The ex-Marine deputy sheriff thwarts and appreciates their escapades. Great fun. All Blythe Sol ever wanted was to be a normal girl. Yet, her dreams of following in her father's footsteps by joining the military after graduation are crushed when nuclear war comes to the United States in the year 4006. Tens of thousands are killed in a series of attacks on many major cities, while thousands more are left injured from the devastation of the blasts, or terminally ill from the effects of radiation. The story is okay. The tone and writing are choppy and with some very stilted word choices. The fact the narrator occasionally repeats whole sentences makes it worse. Like many modern novels it ends with an unresolved cliffhanger. I really wish authors would finish books. I doubt I will read the sequel. Bordertown: a city on the Border between the human world and the elfin realm. A place where neither magic nor technology can be counted on, where elf and human kids run away to find themselves…. Here are 13 interconnected stories and eight poems - all new work by some of today's best urban fantasy, fantasy, and slipstream writers. 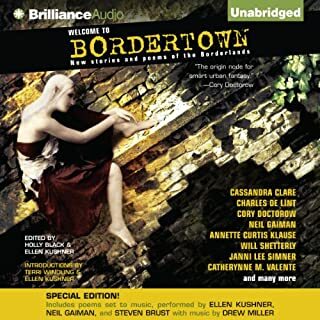 Where does Welcome to Bordertown: Special Edition rank among all the audiobooks you’ve listened to so far? The level of performance of this group of short stories makes every individual story come alive. 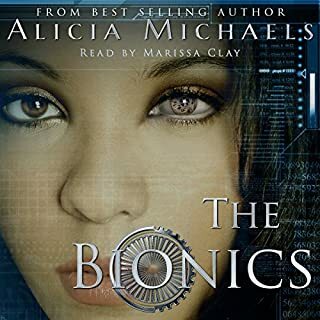 The songs are sung, the characters have appropriate voices and the effects are great.This is probably the best produced audiobook I have ever enjoyed. This is a shared world anthology with a lot of authors and a lot of characters. I'm hard pressed to choose a favorite. Joey in "A Tangle of Green Men" by Charles de Lint because unlike most of the young folks who end up in Bordertown, we get to see him out in the World. Damiana. telling her story in first person, in the reading of "Ours is the Prettiest" by Nalo Hopkinson is beautifully read in patois appropriate to the story. Jou’vert, is a Bordertown festival and this year's theme was "jazz funeral" so there were Catrionas and Egungun and other symbols of the dead. In the story "Crossings" by Janni Lee Simner the two young street girls who manage to take Ye Olde Unicorn Trolley to Bordertown and the point of view of the narrator, Fig, are very moving. The original Bordertown books were the harbinger of the Urban Fantasy genre. This fifth book has some of the original authors and younger authors who were inspired by the original series. It is truly an excellent addition to the canon. Would you consider the audio edition of The Enchantment Emporium to be better than the print version? I have read The Enchantment Emporium upward of 200 times, so I thought I'd get an audio version to listen to whilst I do other things. However the reader is awful. She randomly speeds up, slows down, sounds like a talking moose and has absolutely no idea what the words she is reading mean or how they flow to make sense. She *tries* to do voices but is very inconsistent which just makes it more confusing. And she doesn't sound the least bit Canadian. The closest she ever got was a bit of Minnesota in the Aunties. If I couldn't practically recite the book from memory I doubt this version would make any sense at all. And even knowing it by heart, I just don't think I can listen to more than the first chapters of Ms. Linden's high, nasal butchering of this book. Anyone who can actually do the book justice. 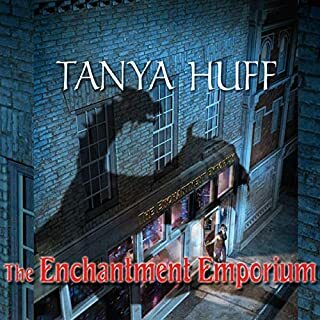 The Enchantment Emporium is an urban fantasy about a family of magical women. This is the first of a trilogy but stands alone by itself with no cliff hangers. I love Ms Huff's prose and the Gale women are awesome.